Training at Rafael Trejo Boxing Gym, Cuba’s national training center in Havana. 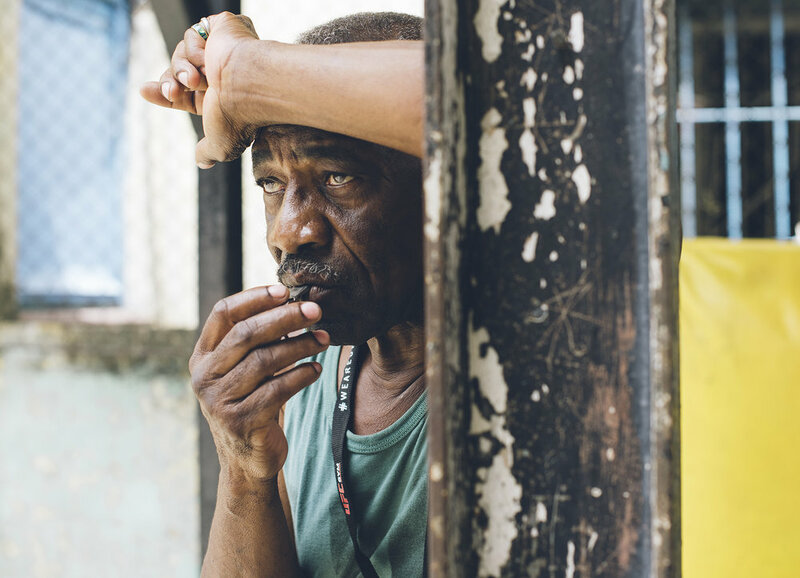 Spotlight | The unassuming doorway of the Gimnasio De Boxeo Rafael Trejo in Old Havana, Cuba, is tucked away in a spider web of streets that is a challenge to find for even those with a keen sense of direction. Inside the small “lobby,” with handwritten schedules tacked to a bulletin board, a man sells packaged synthetic athletic socks out of his backpack to the woman at the front desk. 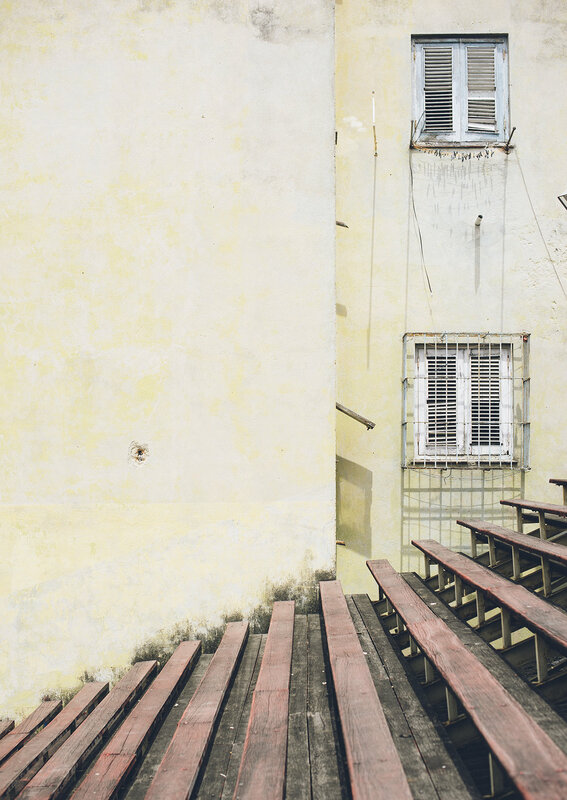 Through the next doorway an open-air boxing ring, surrounded by weathered steel girders and nestled in between crumbling residential buildings, is the training spot of the Cuban national boxing team and Olympic hopefuls such as Christian Martinez. “I have the drive and focus to be a champion. My goal is to represent Cuba at the Olympics,” he said while taking a short break from the intense training. 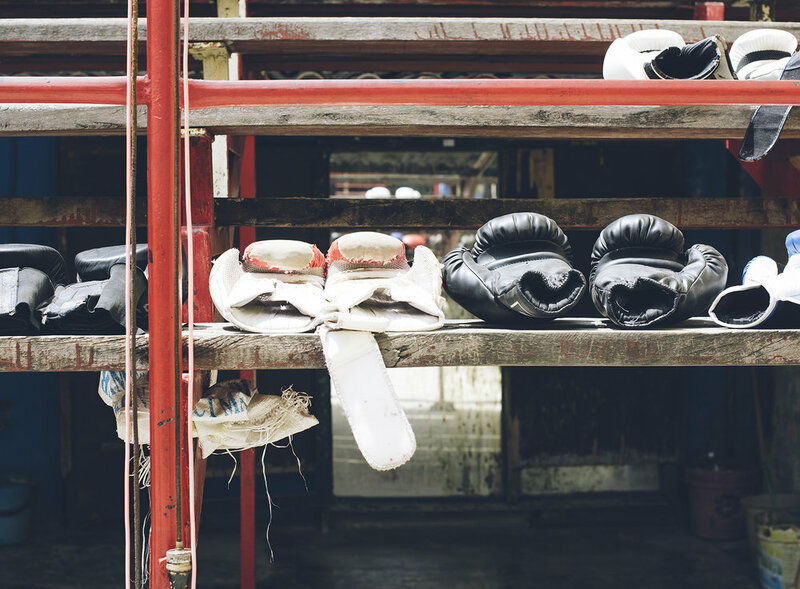 Sweat fills the humid air by 11:30 a.m. on a weekday as the boxers spar and jab. The gift of three Clif bars to a boxer is appreciated as if they were a new pair of shoes. Neighbors with windows overlooking the gym make up the audience, along with a smattering of people that come and go on the six out of seven days that make up the training schedule. 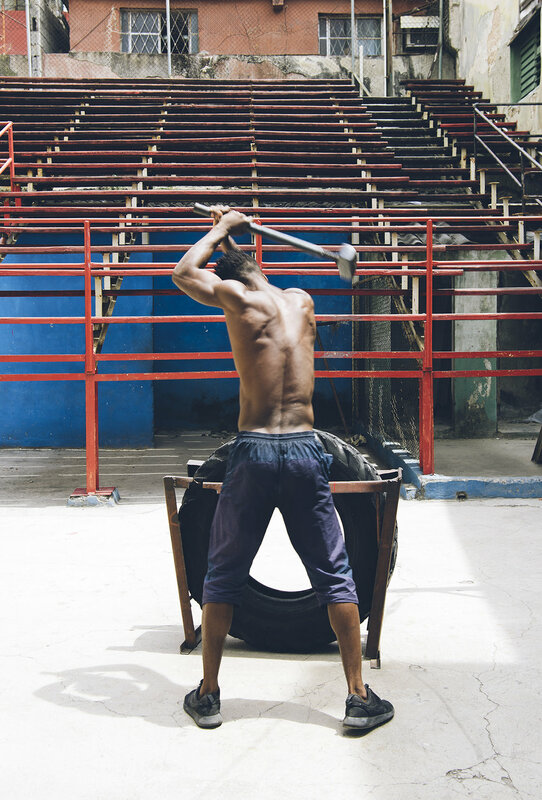 Under the direction of coach Nardo Mestre Flores, a former Cuban boxing champ, athletes are put through the paces that extend beyond the punching bag, including strength-building exercises such as pounding a 10 kilogram sledgehammer on a worn-out truck tire. The relentless humidity is overshadowed by determination. And like everything in Cuba, the past is closely connected to the present. The name of the gym is not lost—an homage to a revolutionary who was murdered in 1930. A couple of blocks away a man sits in a folding chair outside a large indoor gymnasium. Inside, grade-school age children are exercising and training. Maybe they are too young to know, or maybe some have learned that just around the corner, a future might be had. Anna Mantzaris is a San Francisco-based writer and editor. Her writing has appeared in publications including Salon.com, Budget Travel, Fodor’s and USA Weekend.